Separate the eggs. 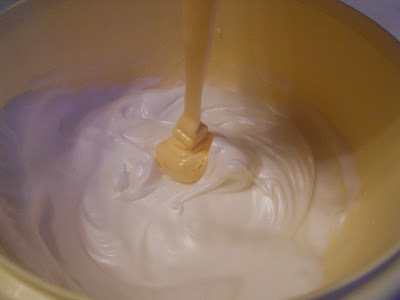 Beat the whites till they turn into white and thick foam. Gradually add 50 gr sugar while continuing to beat. Beat till the foam is glossy and holds shape well. Beat the yolks with the rest of the sugar till pale. Combine the yolks with whites. Add the flour and gently fold it in. Using pastry bag with round tip, pipe 10 cm long sticks on a baking sheet covered with baking paper. 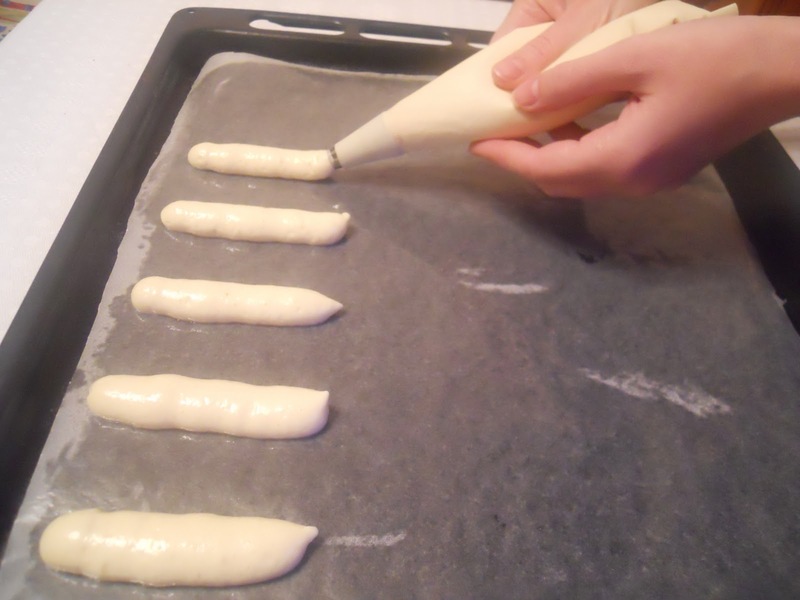 Leave 5 cm space between the sticks (they increase in volume while baking). 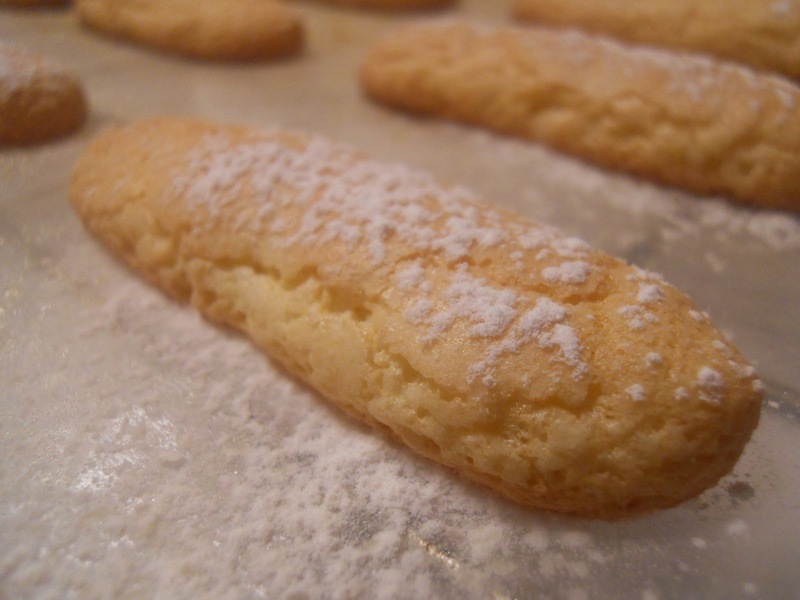 Dust the sticks with icing sugar and leave for 5-10 minutes till the sugar dissolves. Repeat the dusting and bake in 180°C oven for around 10 minutes. 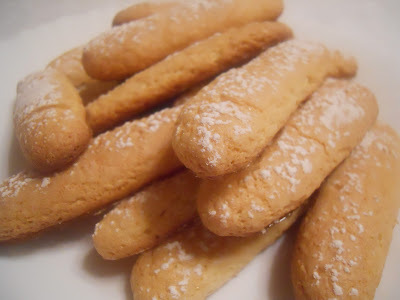 Take the ladyfingers out and have one while they are just yours. Remove the biscuits from the baking sheet and cool down.